when i try to print documents from my computer there are areas of the documents missing on the print out.why is this happening ? the a4 light is on, what does this mean? will print first page only on web pages.Prints all pages from Word. Ive performed nozzle checks and head alignment several times and cant get thngs to print correctly. Photos are either printing predominently blue or black and white and text is printing with top half missing or intermittent lines through making them virtually unreadable. Ive tried putting printer head cleaner in and replaced the cartridges twice to no avail. Any ideas? All problems on this page have been submitted and answered by users. 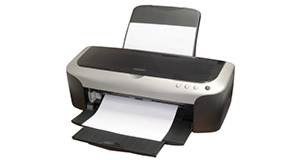 If you have a problem with the Epson DX4050, please submit it below and we'll post it here. Problem: when i try to print documents from my computer there are areas of the documents missing on the print out.why is this happening ? Problem: the a4 light is on, what does this mean? Problem: will print first page only on web pages.Prints all pages from Word. Problem: Ive performed nozzle checks and head alignment several times and cant get thngs to print correctly. Photos are either printing predominently blue or black and white and text is printing with top half missing or intermittent lines through making them virtually unreadable. Ive tried putting printer head cleaner in and replaced the cartridges twice to no avail. Any ideas?